Dr Ann Coats led a tour of the Porter's Lodge and Garden. There was a good attendance on the Saturday but disappointingly the cellar could not be entered because it was locked. Fewer people attended on the Sunday but they were able to get into the cellar. 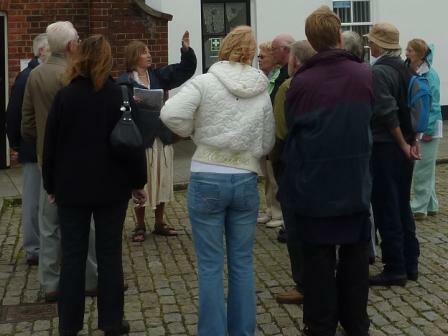 Both groups were very interested in what Ann had to tell them about the Garden and the porters who lived in the lodge and worked in the dockyard.